Are you planning to go back to the dating scene after so many years? Did you know that there are a lot of senior dating sites today that will cater to your need, like the Senior Match? Whether you are planning or just thinking about it, this Senior Match review will surely help you find out if this online dating site is the best for you or not. Being in your senior years doesn’t necessarily mean that you need to just be at home and be with your relatives all day long. If anything, this is the time where you can still go back to the dating scene and find that perfect match that can be with you for the rest of your life. With the growing number of senior dating sites, it is no wonder that more and more seniors are being open to dating again. One of the most popular senior dating sites today is Senior Match. Get to know the site more by reading the information provided just for you below. 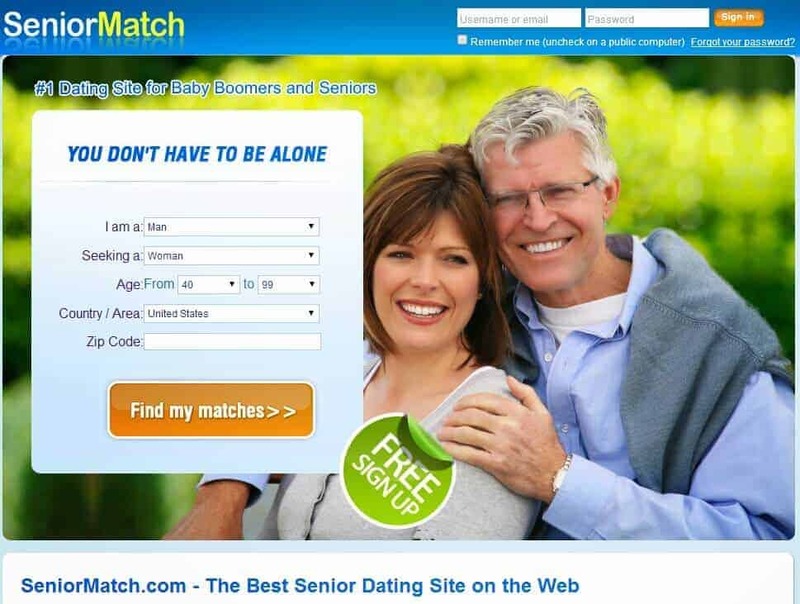 Senior Match is one of the most effective and largest senior dating sites for both baby boomers and as well as seniors. This online dating site focuses on members who are over the age of 50, and they don’t allow members who are younger than 45. The reason behind this is because they want to maintain an age range that is consistent in dedicating to mature members. Whether your love passed on or you just broke it off with someone, Senior Match will surely help you find your right match. You may be wondering as to why you should choose Senior Match among the rest. There are a lot of reasons as to why you should choose Senior Match over the rest. One would be that; Senior Mach will let you create your profile, and as well as send and receive emails for free. They also have blogs where members can read them and get to learn from other members’ thoughts and their life experiences. Another reason why you should choose Senior Match is that they have a well laid out results of your search. There is a location listed and large photos so you can see the members of the site. You also don’t have to worry about being scammed because the staff of Senior Match reviews every profile before they get visible to all the members. As mentioned above, signing up on Senior Match is comfortable and is totally free. The process is also pretty straightforward, so you don’t have to worry about anything. When signing up, you need to give in some information, including your email address, password, name, and your age. You can enjoy the free membership for a few days, but if you want to do more, then it would be best to upgrade your membership. When creating your profile, you need to fill up all the necessary information that is necessary. Some of the information required is your gender, age, marital status, and the kind of person that you are looking for. You also need to include your drinking and smoking habits, religious beliefs, occupation, and as well as your appearance. Once you are done completing your profile, the last step would be uploading photos of yourself. You can choose the main profile photo that everyone can instantly see once you pop up on their search result. It would be best to add more so that other members can get to see you and get to know you by your photos. As a member, you can easily search for photos and profiles of members. You can also do some online chat, and as well as send and receive emails. If you want to interact with other members, you can easily do so by joining forums for seniors. You can share your thoughts or ask other members specific questions and start interacting with them. Another good thing about Senior Match is that they have online blogs, where members can contribute and as well as read blog entries from other members. These blogs will include tips on how you can successfully find a match and how you can make things work out. You can also use winks if you are too shy to send a message to a member. If she winks back or responds with a message, then luck you. One of the best features of Senior Match is the hotlist. This is where you can see the members who have viewed your profile. You will also be able to see who sent you winks and the people who chatted you. This feature is only available for paying members. There is two membership on Senior Match, which is three free membership and the gold membership. With the free membership, you can only do some of the basic things that members can do in a typical online dating site. Some of the features that you can use are the creation of a profile, search and browse profiles, read emails from gold members. They can also respond to instant messages, use of forums and blogs, and as well as chatrooms. When it comes to the gold members, they can certainly enjoy all of the features of Senior Match. Some of the features include knowing who viewed your profile, receive suggested matches, use matchmaking tools, send messages to everyone, initiate an instant message, and do an advanced search. There are still a lot more features that you will surely enjoy, so upgrading would be best. For the payment methods, you can quickly pay via debit card, money order, postal check, PayPal, and Credit Card. Your subscription will automatically be renewed monthly, not unless you cancel your subscription. If you prefer unsubscribing to the subscription, then you can easily cancel with no fuss at all. These are all of the information that you need to know about Senior Match. The above Senior Match review is proof that you can sign up and find your match that you can be with for an extended period of time. You also don’t have to worry about scammers, because all profiles are checked by Senior Match’s staff.